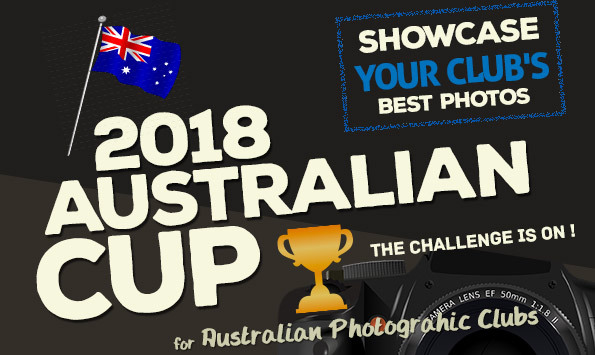 The great Australian Photographic Challenge is on. 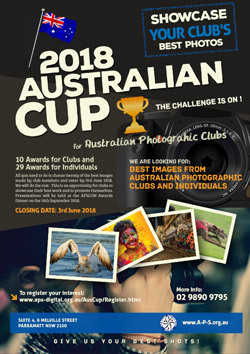 We are looking for the best images from Australian Photographic Club members, both as a club, and as individual photographers. This is an opportunity for clubs to showcase their best work and to promote themselves. There will be recognition at the highest level with the awards being presented at the APSCON Awards dinner on 16th September 2018. 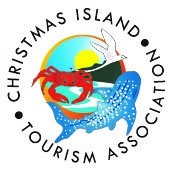 There will be 10 awards for clubs and 29 awards for individual photographers presented, and the judging will be done by professionals in photography. So, all you need to do is choose twenty of the best images made by club members and enter by 3rd June. We will do the rest. Download the brochure which includes all entry details. Copyright © 2018 Australian Photographic Society, All rights reserved. 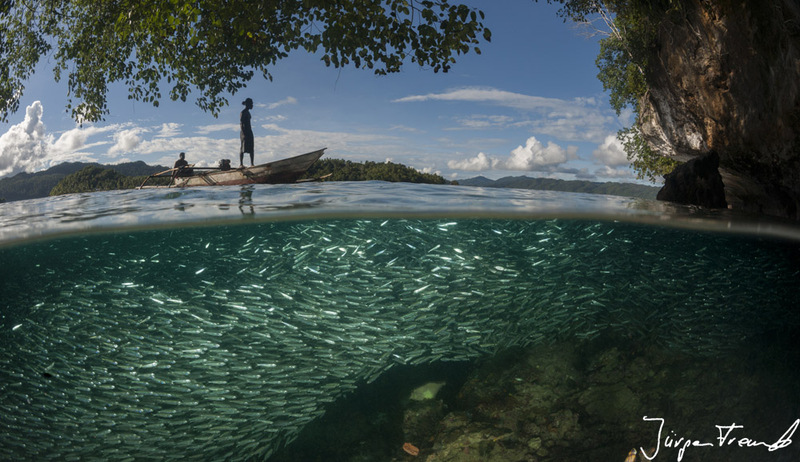 Stories from an epic 18 month project for the WWF in the Coral Triangle - Don't miss Jurgen Freund! 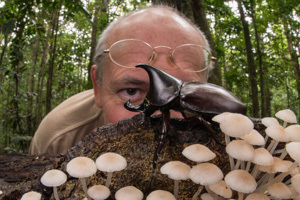 Jürgen Freund, a Senior Fellow of the International League of Conservation Photographers, will share behind-the-scenes stories of his assignments and expeditions to The Coral Triangle, The Great Barrier Reef and The Great Sea Reef. Jürgen's imagery has brought recognition to the extraordinary biodiversity, unique cultures, and environmental challenges facing our connected waters and has helped highlight the significant marine work of one of the world's leading conservation organisations, the World Wide Fund for Nature. The results can be seen in The Coral Triangle, a 276-page book with over 400 images showcasing this truly remarkable place. 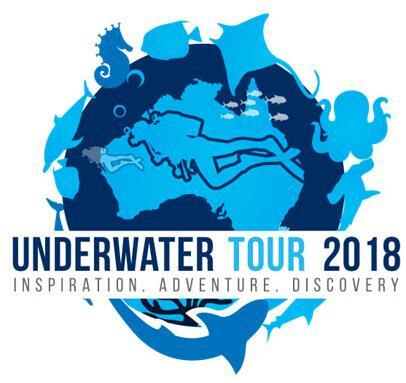 Don't miss Jürgen and all our fabulous speakers on the Underwater Tour! Click on your city to buy tickets now! Underwater inspiration, adventure and discovery! Four world-class photographers - live! Four Cities. Four evening events. Find out more! Buy Tickets Now! We've introduced you to Jason Isley and Jürgen Freund - we'll shine the spotlight on Darren Jew, Jasmine Carey and Dr Richard Smith in upcoming newsletters! 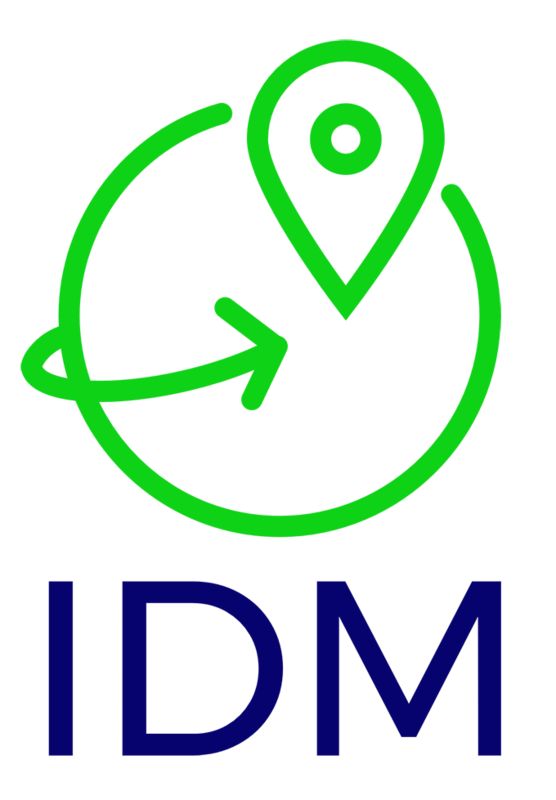 Don't forget you can meet, mix and mingle with our fabulous speakers and traveling partners. 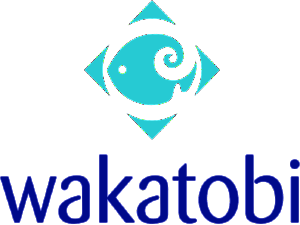 Copyright © Underwater Tour 2018. All rights reserved. 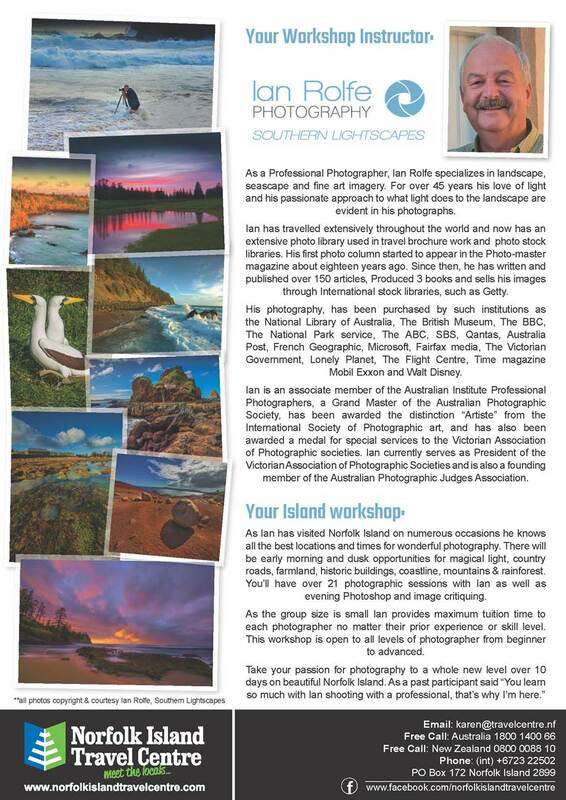 Having previously attended or enquired about joining a Southern Lightscapes Photography Workshop with Ian Rolfe, I am sure you will be delighted to know that his next Norfolk Island tour is to be held from 1 – 11 September 2018. Over ten photography-filled days Ian will certainly enthuse you with his passion for the destination he describes as "assuredly my favourite South Pacific destination". 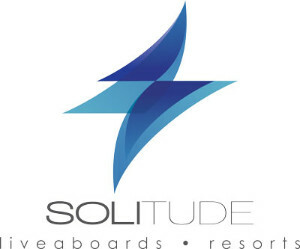 The flyer following this message details all the inclusions in the Holiday Package. You'll see that as usual, Ian has included an incredible (over) 21 photographic sessions as well as evening Photoshop and image critiquing sessions. 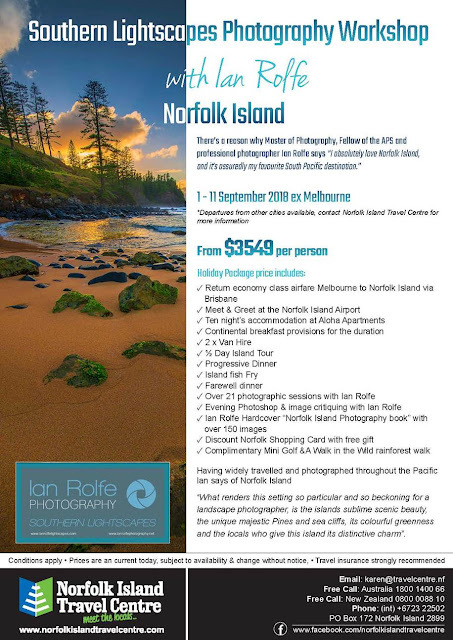 Ian's love of photography and skill at helping you to get the most from your own photography will result in a simply brilliant holiday on Norfolk Island. Please contact me by email at karen@travelcentre.nf or on freecall 1800 140066 and I can send you the complete Information Pack and booking details. It's time to indulge your love of photography by joining Ian for 10 photography filled days on Norfolk Island – I look forward to hearing from you.